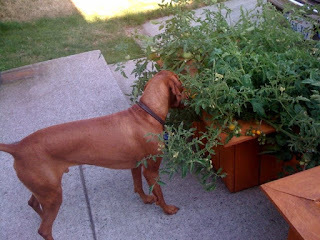 Happenings with Z5: A Thief in our Box Garden!!! 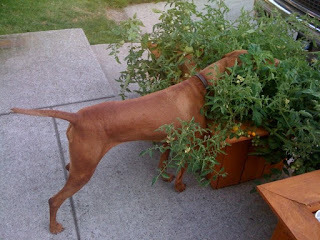 A Thief in our Box Garden!!! 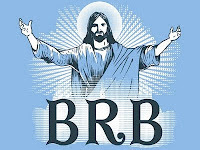 When I was small (ie: K-2nd grade) my mom enrolled me in the Weekly Reader's Book Club. I received a new book a month. 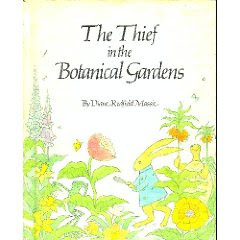 One that I remember (& my mom still has) is The Thief in the Botanical Gardens. It's about a rabbit who takes charge of a garden and all the flowers go missing after he takes over. The rabbit accuses all his friends of eating the flowers and sets up hidden cameras. He is shocked to finally look at the evidence sees himself eating all the flowers. The only relevance this story has to this post is that I think of Remy for some reason whenever I read this book..... A good read! 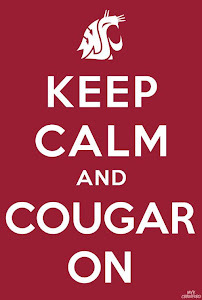 Earlier this afternoon, I let Remy out. 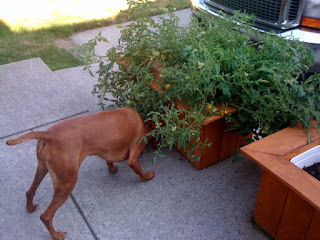 I checked on him less than a second later...and he was nose deep into our tomato boxes. 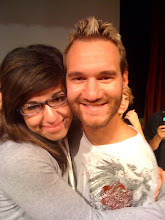 I grabbed my camera and starting shooting. 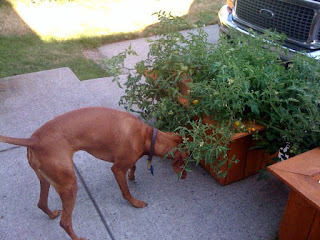 I finally put the camera down and caught the 'thief' with a tomato in his mouth. I pulled him inside and gave him a Barky Bit for coming with me (without protest). He knows a good vegetable when he sees one! 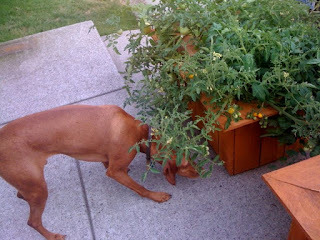 Last summer, our neighbors complained that Remy ate several of their tomatoes. I had to buy them a deluxe box from Costco to apologize.